Even though, DOS is not widely used, for reading the instructions from manufacturers for updating BIOS, firmware updating applications, and other system tools, DOS is necessary. Most of the computer users does not have floppy disks to format it using MS DOS. Therefore, you need some external drives like USB drives to create a bootable drive with DOS. Even Windows does not allow you to select the “Create MS-DOS start up disk” option to format your USB drive. Hence, you have to download and install Rufus app. Many lower level functions are available within DOS, which you can’t simply get to with full Windows. One of the essential things you need to do is using a bootable DOS USB is to update drivers or a bios. 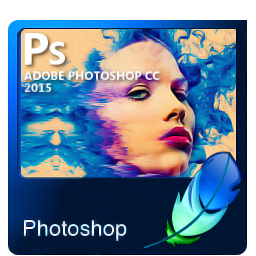 It is very easy to do and it is very useful for using many different applications too. Step 3: Here, you need to click on Start button. After selecting the Start button, all the contents in the USB drive will be erased. You need to backup your important files from USB drive before starting the Start menu. You might have created this boot drive because you have a DOS program to run like BIOS update application or the other low level system program. 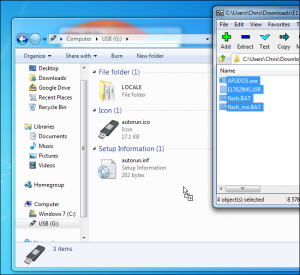 In order to run these files from DOS, you have to copy these files to your USB drive. By restarting your computer, you can boot now into DOS. If your system fails to boot from the USB drive, then you need to change the boot order. Once you are in DOS, the program copied to your USB drive can be executed by typing its name in the DOS prompt. You have to follow the instructions that are provided in the manufacturer’s site or documentation. 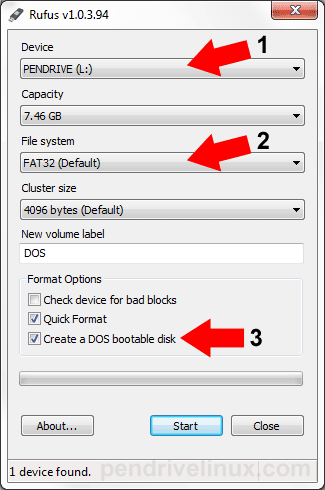 Continue reading here, to know more details about how to create a bootable USB drive with DOS. 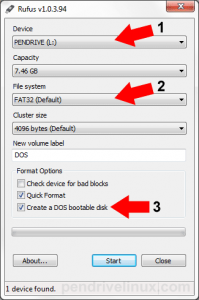 Comments Off on How to Create a Bootable USB Drive with DOS? I deleted a folder named “project report” from D drive of my laptop by mistake. The deleted folder is more significant to me because it consist of large amount of my college project reports. I am using Windows 7 OS based laptop. Is there any suitable way that can assist me to recover deleted folder from my laptop? Thanks a lot..!! Okay, folder is an effective location where various types of files, programs, and other folders can be located. Computers with Windows or Mac or other OS have folders in order to help system users for storing and organizing their important files. By continue reading you can easily come to know more about folders and various libraries that are used to access them. 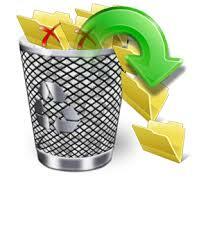 In some situation, folders may get deleted or lost due to various reasons like system error or human mistakes. For example, folders may get deleted by accident using shift delete key combination on Windows system. The various types of files which are located in the folder will be disappeared when a folder has been erased from the system. These files are not directly removed. Windows operating system just marks drive space which is being available for making use by changing the file table character therefore the data entry won’t be shown in a DIR command or My Computer, etc. This is the main reason for the possibility of deleted folder recovery. In order to get back the lost or deleted folders you need to download and use reliable folder recovery tool. Using this tool, deleted or lost Word, ZIP archives, Excel, PowerPoint, videos, audio files, photo, and all document and folders in Windows and Mac OS based system like Windows XP/ Vista/ 7/8 and Mac versions include Yosemite, Mountain Lion, and Snow Leopard. This tool recovers folder from various data storage devices like external hard disk drive, flash memory cards, memory sticks easily. In order to evaluate the performance of this tool you can preview the recovered files in trail version itself. For saving recovered folders you have purchase the full license version of this tool. Recovering folder task session can be saved using “Save Recovery Session” feature. The recovery session can be resuming at any time therefore your valuable time will be saved. This software supports various flash drives which are formatted with various file system structure like FAT16, NTFS, FAT32, NTFS5 and ExFAT effortlessly. You can save recovered folder into any secure storage media like CD or DVD which should be accessible by the host system. In order to save disk space you can compress recovered folders in a ZIP archive. Portable drives are used for huge data storage and they are rewriteable. It can store all form of files and folders on these drives including media files, text files, executable files, PowerPoint files, and so on. There are different types of portable drives avail to store data such as external hard drives, pen drives, Fire Wire drives, memory cards, etc., and these drives are easy to handle on any systems. Leading and popular brands of portable drives are Kingston, Western Digital, Transcend, Toshiba, G-Technology, Samsung, Seagate, SanDisk, PNY, Lexar, Sony, HP, Buffalo, and Hitachi. Have you lost your important data from any portable drive by mistake? And are you unaware of recovering lost files from USB drive? If yes, then immediately make use of Portable Drive Recovery software to get back all the deleted or lost files. It is one of the prominent and effective application used to recover files and folders on various editions of Windows and Mac operating system. With the help of this software you can preview the recovered files before restoring them on any storage medium. “Save Recovery Session” at any point of time in order to prevent rescanning of portable drive. Portable Drive Recovery tool is designed with powerful scanning mechanism so it will scans entire drive within few minutes. Accidental deletion happens when you interacts some unwanted or old data while working on the computer. Later on if you decide to remove all these useless stuff from the portable drive (pen drive). While performing so there is a possibility of unintentional deletion of some essential files from the pen drive. This may leads to severe data loss from portable device. Formatting is the process of resetting the file system for next read write operation. But, if you unintentional or intentional format any portable drive without taking backup of vital files then this results in erase of files and folders from the portable drive. After connecting the USB drive to your system, if you transfer files from PC to portable drive or vice versa then any sort of interruption will leads to deletion or erase of files from your Universal Serial Bus drive. Virus infection may lead to corruption of file system in the drive. A virus is a malicious program which is designed purposely for damaging system. It could happen when you download untrusted software via internet in order to perform some work. Suppose, if you connect your portable drive to virus or malware infected system then there is a huge chance data loss from the drive. Defragmentation is the process of re-arranging the files and disk space into adjoining locations in order to decrease the disk memory space. Assume, if this process is incomplete or fails due to some issues then there may be possible of files get lost or erased from the portable drive. For more details about data loss issues continue reading here. Do not remove or eject any portable drive while sharing files. Use effective and updated antivirus utility in order to scan for virus. Always eject your portable device by using “Safely Remove Hardware” procedure. Supports file recovery from all the types of hard drives interfaces such as SATA / SCSI / IDE/ATA/PATA etc. This software allows to recover data from different file systems namely HFS, FAT16, ExFAT, HFS+, FAT32, HFS+, NTFS, and NTFS5. You can restore deleted or lost data on various partition namely RAID0, RAID1, and RAID5 partitions. Recovers all files from different data storage medium like internal hard drive, Mac computers and so on. 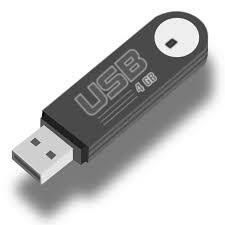 USB stands for Universal Serial Bus. These drives are mostly used to store the large collection of data including documents, video/audio files, image files, etc. in safe and secure manner. These drives have various features such that compact in size, portability, support of high speed data transfer technologies like USB 3.0. 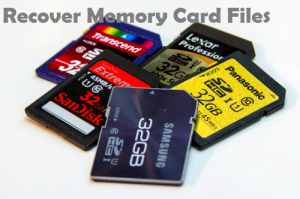 It can store large amount of data depending upon its storage capacity. There are various brands of USB hard drives such as SanDisk, Transcend, Kingston, MoserBaer, HP, PNY, Sony, etc. Sometimes, while transferring files from these hard drives interruptions can happen. Your data transfer process can be terminated unsuccessfully because of these interruptions. Or you may accidentally format your USB hard drive when it contain large amount of data. These are the reasons where you may get panic thinking about your lost data. Actually you don’t have to worry, this problem has a way out. But before checking this, let us examine some of the common reasons that lead to the deletion of loss of data from USB hard drives. 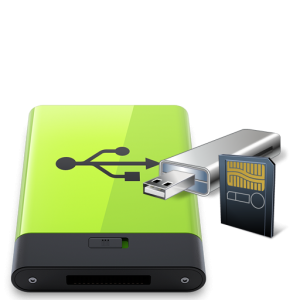 USB Drive Ejection: interruptions such as sudden removal of USB drive when you are transferring essential data from USB hard drive to other can leads to data loss. Third Party Tools: Sometimes you may use some third party tools for disk optimization if you feel that your USB hard drive is not fast enough. If such tools are downloaded from suspicious sources, the chances for data loss from USB hard drive will become high. Apart from the above mentioned scenario behind the data deletion or loss from USB drive, there are few more reasons such as file system corruption, software conflicts, and many more. Suppose you are a victim of data loss from USB hard drive due to any of these scenarios. How you are going to handle such as situation? At first, keep your mind calm. There is no need to worry as you can make use of USB Hard Drive Recovery software to effectively resolve this situation. This software supports USB hard drive as well as various storage devices such as pen drives, SD cards, CF cards, memory stick, etc. It identifies data which is stored on file systems FAT 32, FAT 16, NTFS and NTFS 5 partition of hard drives without any complexities. This program has got effective strong algorithm which is capable enough to scan a complete USB drives without avoiding a single bit of data. It also supports formatted, crashed and damaged hard drives manufactured by SanDisk, Kingston, Moser Baer, Transcend, and so on. This application compatible with multiple versions of Windows including Windows Server 2003 or 2008, Vista, XP, 7, 8, etc. and Mac Mavericks, Lion Mountain, Leopard, Snow Leopard, Lion, etc. This tool has simple user interface and any new user can use this tool without asking help from anyone. Continue reading to know more about USB hard drive recovery software. Hard drive holds all personal and business files including text documents, image files, spreadsheets, movie files, PowerPoint files, video files, executable files, Personal Storage Table data files, audio clips, animations, and many other files. The storage capacity of the hard drive varies from few GB to several TB. There are variety of hard drives are available in the market namely USB hard drive, SSD hard drive, internal HDD, etc. 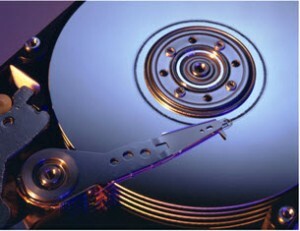 Some of the known brands of hard disk drive are Seagate, Buffalo, Western Digital, G-technology, Toshiba, HP, Samsung, etc. Most of the Mac users loss their valuable data from hard drive because of various reasons such as virus infection, accidental deletion, formatting/reformatting, file system corruption, presence of bad sector, reinstallation of OS, use of third party utility, etc. Have you lost data from hard drive on Mac systems? 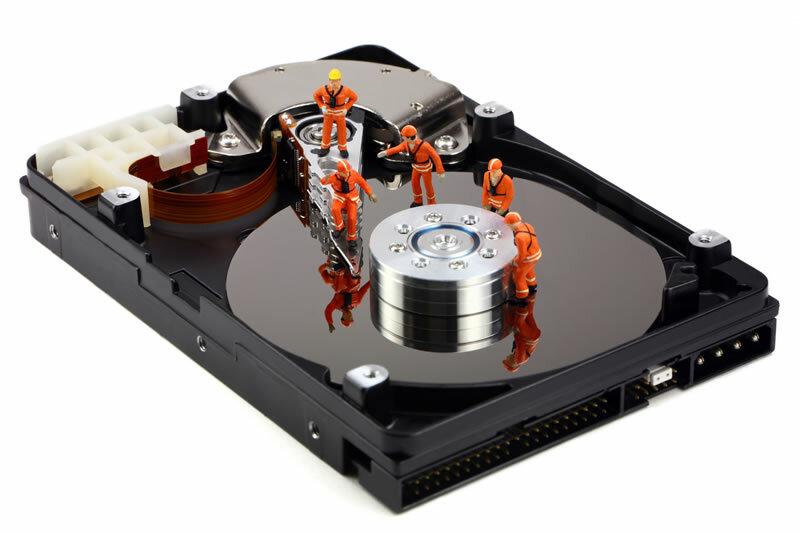 Are you worried about how to recover files from hard disk? If yes, then just make use of Mac External Drive Recovery software on your Mac machines to bring back all lost or erased files from it. Abrupt shutdown of system during file transfer: Assume a situation, in which you are sharing files from Mac hard drive to any external drive during this period if sudden shutdown of Mac machine takes place then there is a chance of data loss from hard drive. Catalog Corruption: The catalogue damage or corruption happens in Mac OS because of software malfunctioning. This makes your files saved on Mac hard drive becomes inaccessible. Henceforth, there is a huge amount of data loss. Emptying Trash: At times, while eliminating few unwanted files from hard disk you may accidentally remove some crucial files by selecting “Command + Shift + Delete” option. This result in loss of necessary files from HDD. Virus or Malware Attack: Suppose, if you connect your harmful virus infected portable devices to your Mac systems then there is more possibly of data loss. Because of this hard drive becomes damage or corrupt and leads to erase of files. File System Corruption: File system holds all the information about the file that includes file name, size, file format and data of modification. Due to some factors in case file system gets damaged then it leads to data loss from the hard drive on Mac system. This recovery tool can be achieved on different Macintosh OS X versions including Lion, Snow Leopard, Mavericks, Lion Mountain, Yosemite, Leopard, and many more. Supports external drive recovery Mac models such as Mac Mini, Mac Air Pro, iMac, MacBook Pro, and so on. It is reliable and efficient drive recovery which uses powerful scanning mechanism in order to scan your entire external HDD and restore data from it within short span of time. You can perform data recovery on any data storage medium like pen drives, iPods, smartphones, external hard drives, digital cameras, camcorders, etc. Mac users can view the list of recovered files by using “Preview” option before restoring them on CD/DVD or any other data storage gadgets. Restore various file format such as PNG, RAF, PPT, TIFF, RM, AVI, MOV, PSD, 3GP, MPEG, RA, BMP, AIF, JPEG, MP4, PST, and DOCX. At any point of time you can contact the support members in case if you find problem in recovering files from external hard drive.